Challenges the European Union faces. Since its foundation in 1995, the European Seniors’ Union has been a meeting place for men and women who believe in Europe. The story of Europe is not only written by Heads of States and Governments, but also by its people, taking responsibility together. The future of Europe? That is a future in which we can be at home and in which future generations can find peace and prosperity. This is not yet achieved. It should be developed further every day. For us, the generations that saw Europe grow, every day is a challenge to take these issues forward. Together with younger generations, policy makers at all levels, especially our politicians at the European level, and engaged citizens. A Europe of solidarity, where there is room for the unique story of every human being: that is our Europe. Let us make it happen. The European Seniors’ Union (ESU) is the largest political seniors’ organisation in Europe, member association of the European People’s Party (EPP) and is represented in 27 states with 34 organisations and about 1.269.000 members. We believe in people of all generations to lead Europe out of the recent crises. We want our economies to return to growth that produces jobs, with young people looking to their future with confidence, seniors feeling proud of their accomplishments and families protected and strengthened to endorse the challenges and risks of changing societies. One of the key challenges of today’s societies is demographic change. The EU, the Member States and all citizens, together we are called to cope with the gains, strengths and limitations of ageing societies. We, senior citizens, want to be part of a better Europe for all ages. Everyone, regardless of age, gender or dependency is entitled to enjoy the fundamental human rights, lead a life of dignity and independence and participate in social and cultural life. – providing protection, support and empowerment. An inclusive labour market enabling older workers to remain at work for longer. Use and promote age diversity and intergenerational learning. Adequate, fair and sustainable social protection systems (health care, long-term care, pensions,…) for both current and future generations. Europewide networks and movements to mainstream the promotion of an age-friendly society in all relevant EU policy processes and funding programmes to create synergies and support action at all levels. The European Union, governments at all levels, researchers, stakeholders, the media, civil society and all citizens are called to create, promote and stimulate a long life society, respecting all age groups. 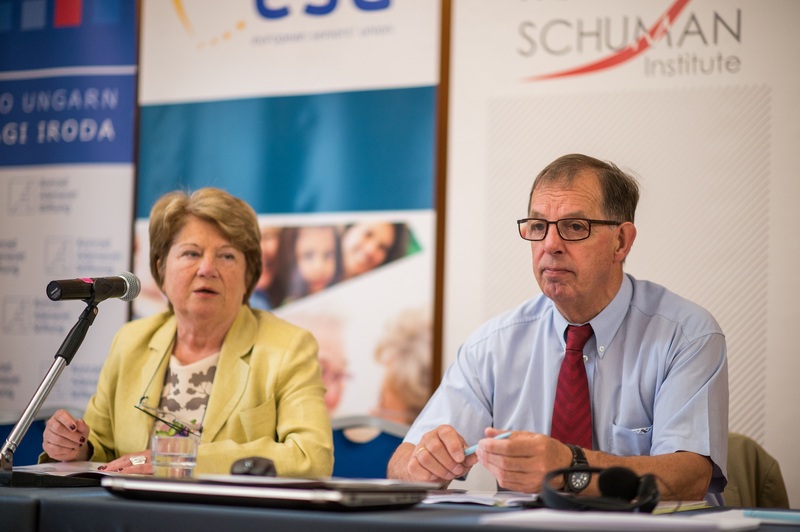 The ESU is dedicated to the advancement of senior citizens’ rights throughout Europe and the promotion of senior-related issues within the European People’s Party. Together with its member organisations, the ESU organises each year several activitities all over Europe. 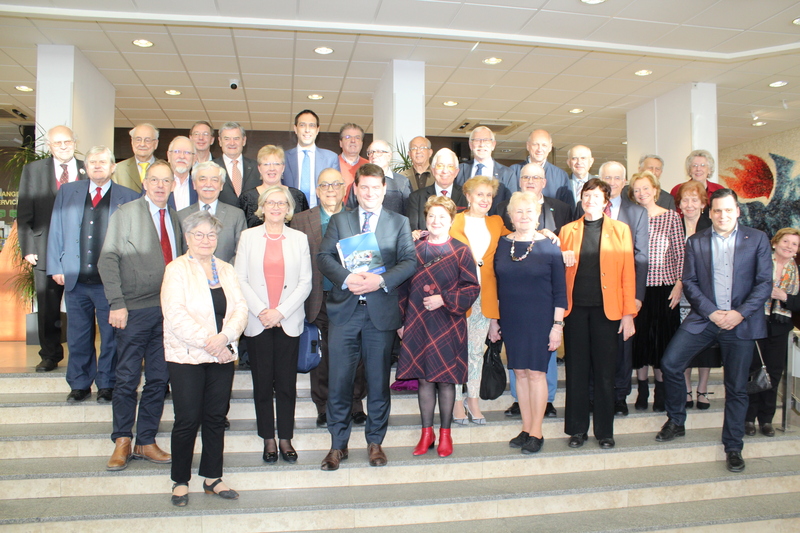 On 21-23 March, the ESU co-hosted a Regional Conference together with the SVP-Senioren on several challenges our European Union is facing. During the weekend of 22-24 February, the ESU Executive Committee was welcomed in Prague to gather with the European elections in mind. 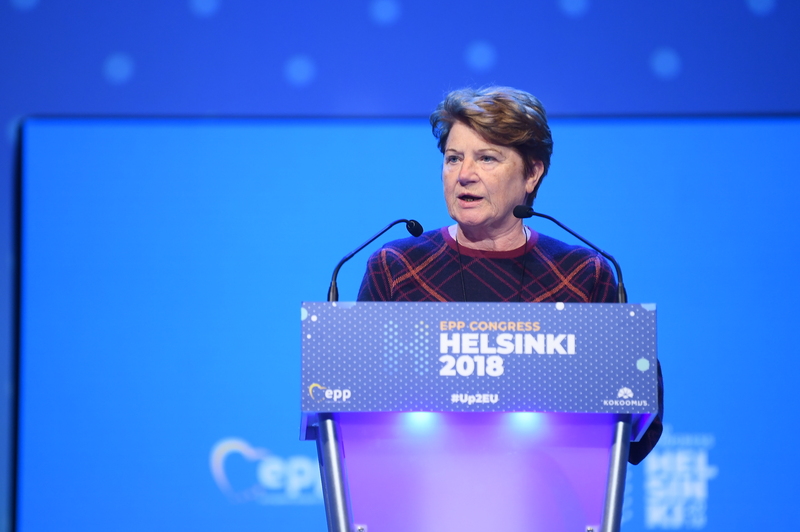 On 6-8 November, the ESU participated in the EPP Congress in Helsinki. On the occasion of the International day of Older Persons on 1 October 2018, the ESU released a message of ESU President Hermans. The ESU was invited by ESU vice-president Janusz Marszalek to participate in the 10th Third Age Forum (5-7 September) in Nowy Sacz and Krynica in Poland. On 6-8 July, the ESU organised its Summer Academy about ‘Europe’s Demographics: From challenges into innovative and coordinated opportunities'. On 17-19 May, the ESU Regional Conference on 'Building Bridges towards solidarity and social cohesion in the Baltic countries' took place in Vilnius. Am 27. und 28. April fand in Aachen eine ESU-Regionalkonferenz über 'Älter werden in den Euroregionen' statt. On 24 April the ESU and YEPP a common statement on Intergenerational Solidarity and met with EPP president Joseph Daul. At the beginning of 2018, the ESU presented its annual report of 2017. On 7-8 February the ESU held its Presidium meeting and General Assembly in Brussels. A dinner debate was also organised by the KAS and ESU. On 4-5 November 2016, the triennial ESU Congress took place in Leuven. Theme: Together for a safe and social Europe. On 21-22 October 2016, the ESU and its Slovenian member organisations organised a regional Conference on Civil society and active participation. On the occasion of the International day of Older Persons on 1 October 2016, the ESU released a message of ESU President Hermans. 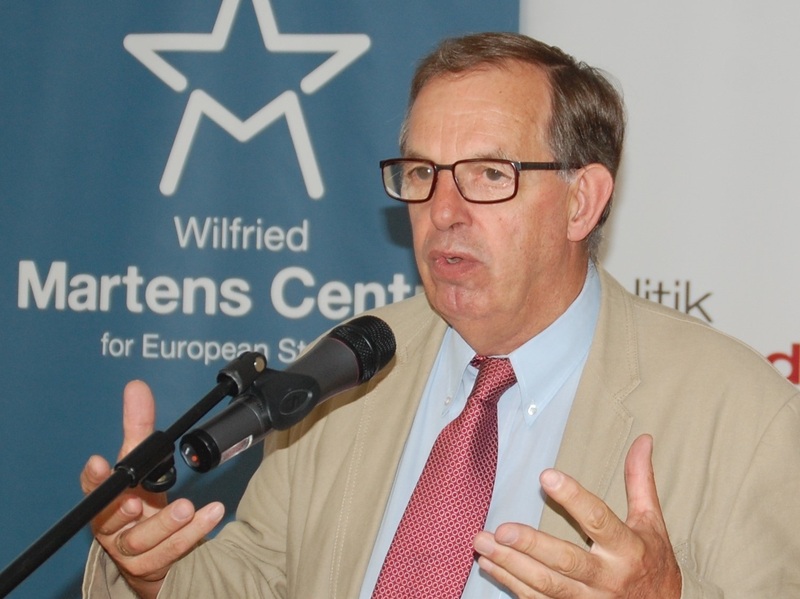 'Europe must not fail' that was the title of the 7th Summer Academy (1-3 July 2016), organized by the ESU and the Österreichischer Seniorenbund. For a two-days Conference in Budapest, the ESU could count on the Robert Schuman Institute, Fidesz and the Konrad Adenauer Stiftung. 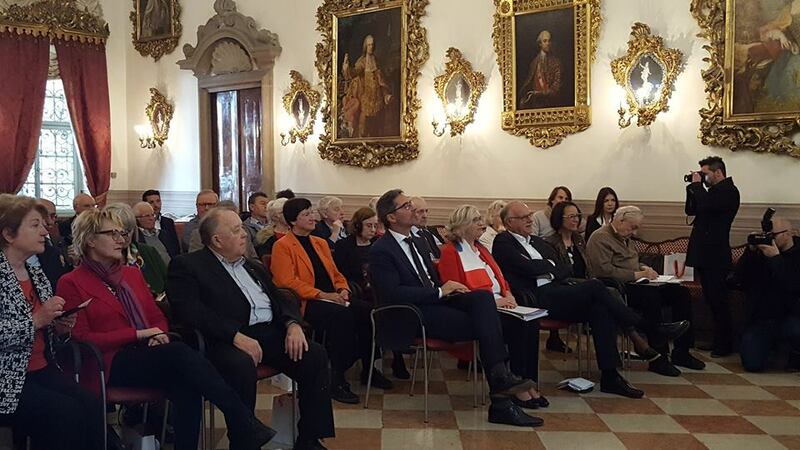 To mark the European Day of Solidarity Between Generations dr. Bernhard Worms organised the launch of the Foundation 'Youth and Seniors for Europe'. 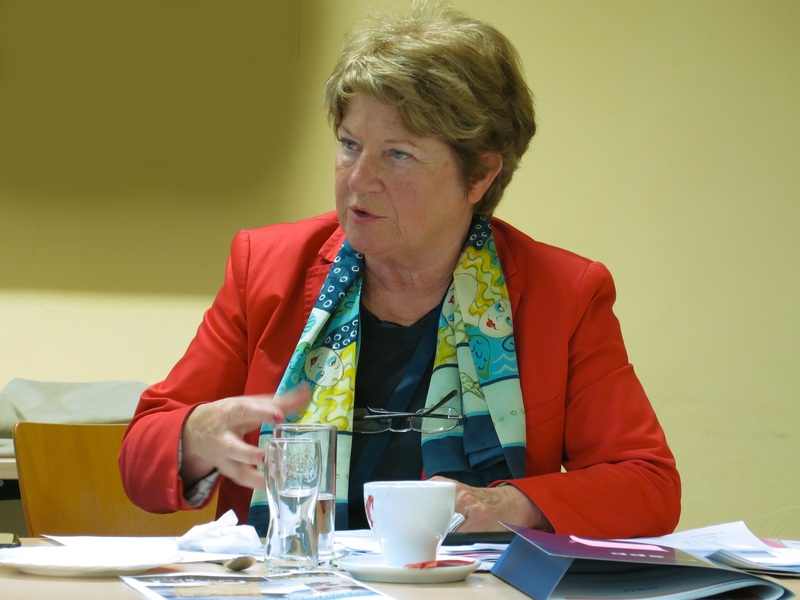 On the occasion of the Internationial Day of Older Persons 2015, ESU President An Hermans wrote a message. Senior International, the newsletter of the ESU, is edited by Ulrich Winz. The ESU is led by the Board (Presidium), which is elected every three years by the ESU Congress. Join us on Facebook, Flickr and Twitter.